Many of the meetings in our social studies department focus on content, strategies, and assessment. We spend the bulk of the time reflecting on whether our choices are preparing the students to achieve the learning goals. In the past, we've attempted to focus the use of strategies by choosing between two. This year's conversations have been about dialing in the must-use strategies, the ones that we know work. ... Here's what I think. Social studies, in Texas anyway, has the most standards out of the core subjects. The students need to learn a lot of facts and develop context schemes to understand new information conceptually and use it beyond memory recall. Teaching kids the importance of organizing notes is crucial if they're going to learn how to do stuff with the notes they make. It doesn't matter whether its tables, drawings, half-page, or Cornell notes, the students need to learn to leave room on the page to add analysis and thematic labels. Regardless of the note-taking format students use, summarizing notes is critical. Some teachers have the students use their notes to respond to the lesson question on a half sheet, which is turned in for a formative check. Others, like myself, prefer the one-sentence summary to be posted anonymously on a tack board or to a Padlet (image below) or TodaysMeet room. 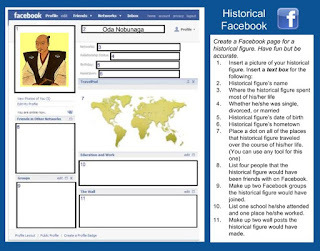 When I use one of these discussion web tools, my students receive specific feedback on whiteboardhistory.blogspot.com. Both Padlet and TodaysMeet provide many share and access format options, including downloadable PDF transcripts. 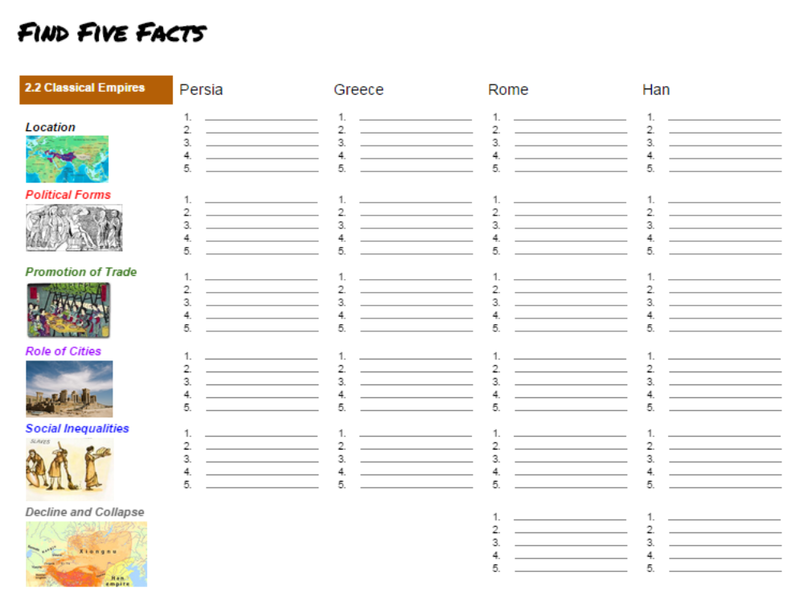 Find Five Facts is another one of my favorite activities. The title and the directions are one in the same. 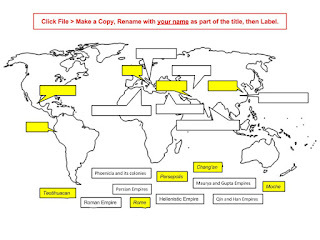 Students list five facts based on a civilization and theme, for example. The picture below shows my five facts for a Persian Empire explanation. 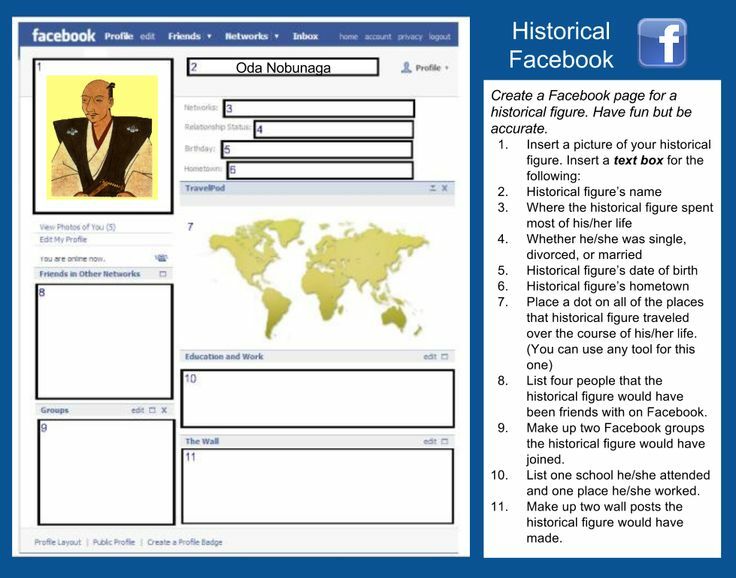 Once the students are better at finding the five facts, I will have them make five facts videos, slide shows, Quizlet decks, infographics, etc. We talk about note-taking activities without including ABC notes (also called alphabet soup). I like to have students make an ABC list while watching a video (like Crash Course). 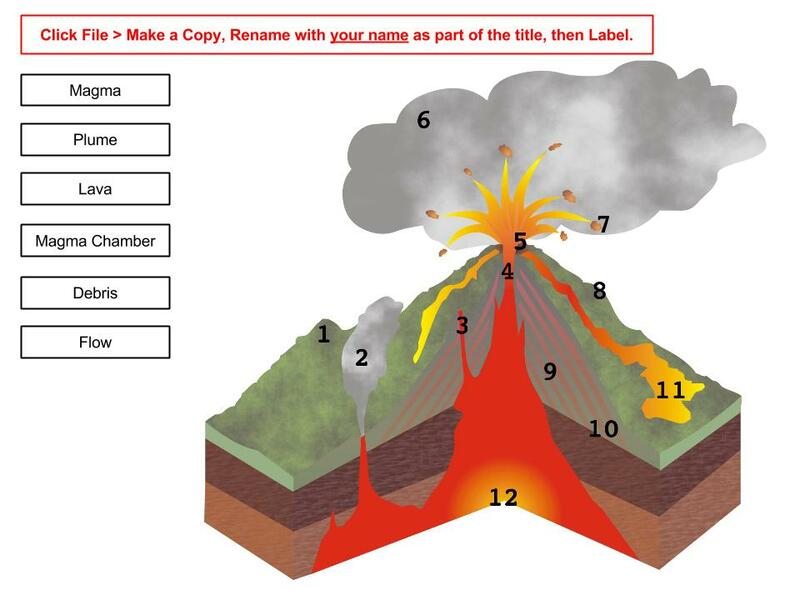 This is a particularly fun activity to help them think about what they've learned in a lesson cycle. 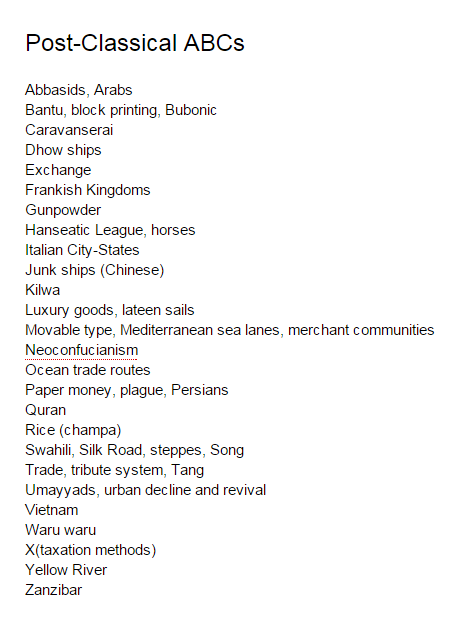 This example shows a list one of my classes made collaboratively on Google Docs. Whether notes come from lecture, reading, placard activities, or sharing content with peers, the students will retain more from their work if they bring it all together at the end. Something as simple as the one-sentence summary or a list, group, label is quick and doable. Students will be especially confident if confidentiality is kept and only commentary feedback is provided. I don't use the words "compare" or "contrast" much in the classroom. It's not that the students don't know what those words mean, well most of them, anyway. They just learn more comfortably when they hear more commonly used words like "similar" and "different." 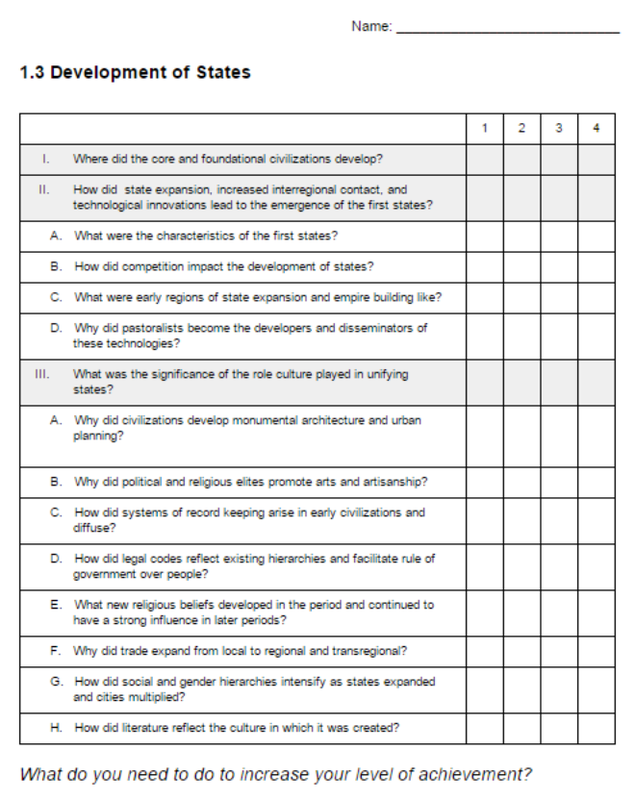 I recently assigned this comparative analysis activity after two classes of Classical Empires background building and a five fact explanation: (1) Internal vs external forces, (2) Overproduction, (3) Corruption, (4) Invasions, and (5) Social institutions. This was enough to prime the students to complete the tasks. If my students are summarizing their notes about types of constitutional governments, for example, I would have them write a one-sentence summary that includes one similarity and one difference between two of the examples from their notes. This could also be down with causes and effects or continuities and changes. Keep it simple by requiring one of each. 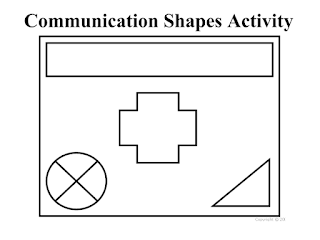 When students come together to do cooperative learning activities, it's a great time to have them create a graphic organizer (Venn diagram, side-by-side table,Double Bouble, etc.). 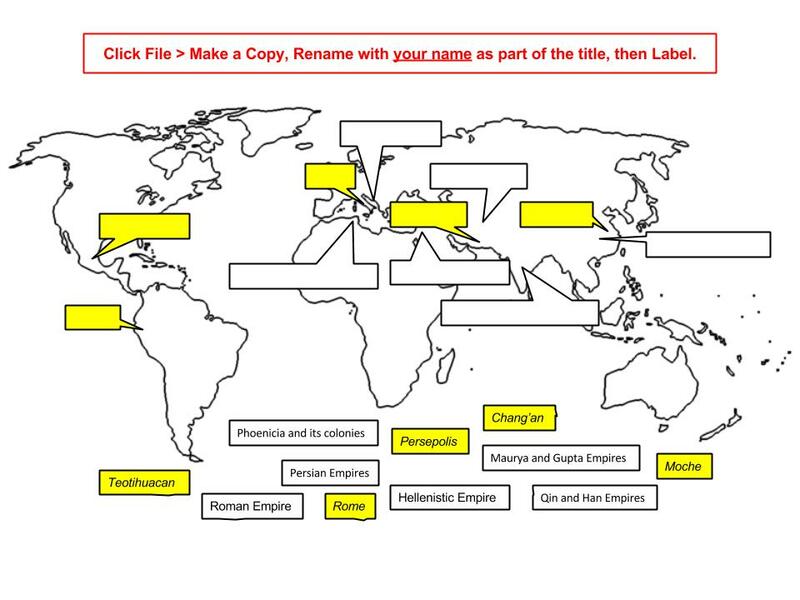 For example, if the students are comparing the influences of the Vikings and the Byzantine Empire on the development of Russia, students could be assigned either Vikings or Byzantine and two of each could make a group of four. 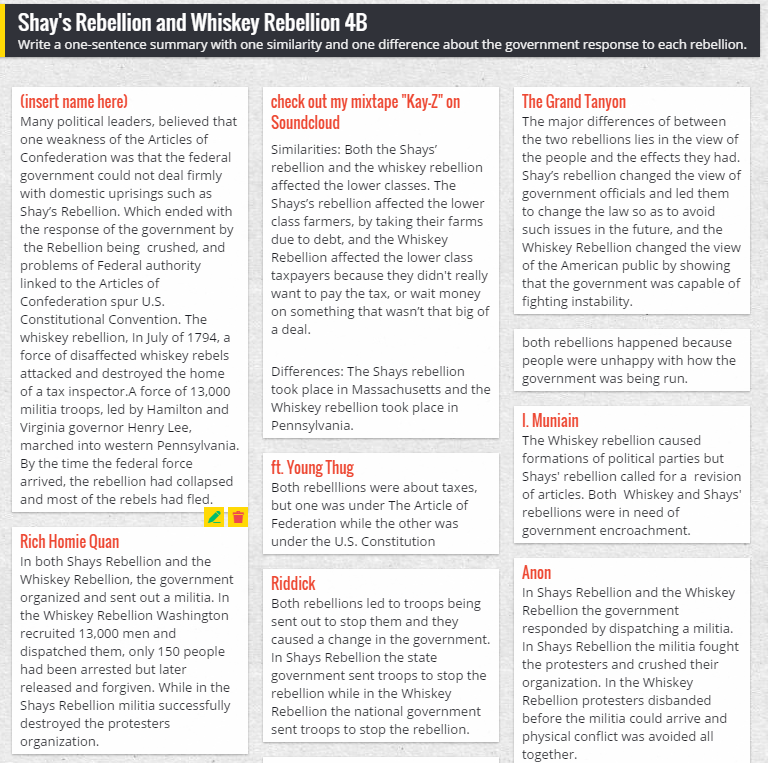 This sets up two layers of analysis: (1) Students will compare what each of the two like examples wrote in their notes, and (2) Students will compare the two different examples to respond to the issue (influences on the development of Russia). If possible, have a student make an explanation presentation with an app like Google Slides, Educreations (shown below), ShowMe, or Google Drawing. A student could even post to the classroom blog via e-mail. Follow these activities up with group presentations and discussion for formative assessment. Give them a quick quiz at the beginning of the next class to let you know whether the class needs to move forward or take a step back for a moment or two. It's one thing for teachers to know exactly how students are doing, but it's a whole new level of meaning when students can tell you to what extent they are meeting expectations or excelling relative to standards. Achievement tracking and scoring scales support development of this ability by providing feedback that correlates to a consistent set of achievement levels and descriptors. Self-tracking is powerful because learners can relate their classroom activities to a personal goal that will support their path to mastering a standard (examples below). And, it's not more work for teachers. Having the students do some of the evaluation puts the documentation mostly in their hands, I do the same for reassessment documentation. These examples show the two types of achievement tracking that my students do after a major assessment. We use this information to review achievement for purpose of focusing remedial work before reassessment. This information is also helpful to present to parents when issues start to develop. This is completed by students immediately after the major summative. It is also reviewed when the marked papers are returned. Students, at that time, are asked to make adjustments to reflect achievement and write a goal to support learning. 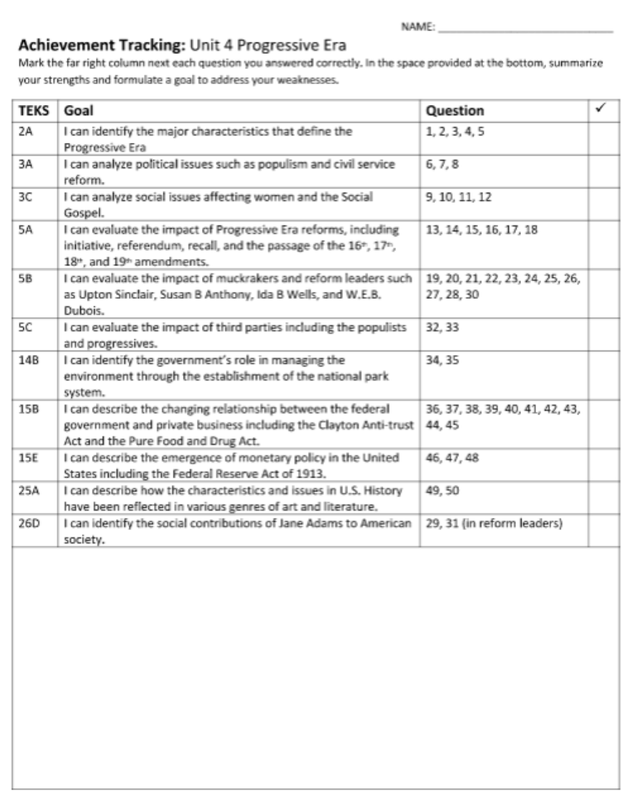 Students circle the ones they missed and mark a check in the far right column if they answered a majority of the standard's assessment items correctly. Thanks for reading. Please share comments, stories, or anything that might make these ideas stronger for myself and others. I remember good days and bad days from my first year teaching AP World History. But the thing I remember most was when a student told me about how she felt when she took the practice test at another school, administered by a different teacher. "He was giving them all these reminders about things that I didn't even understand," she told me, just before the guilt of not preparing her made all my other worries that day seem insignificant. I had to address the problem students faced with the AP exam. The problem is often the same year after year: students don't do well on the essays. So we have them write more essays. Practice. Practice. Practice. And the results remain the same. Maybe the achievement levels are a little higher but nothing considerable. I think we shifted 1s to 2s with the added practice approach, but not many 2s to 3s or 3s to 4s or 5s. Last year, we started chunking the skills practice. It yielded the highest achievement gain since I started. In four years, we had assigned fewer reading pages in the book, reduced lecture-based instruction, increased targeted skills practice and assessment, and the passing rate had doubled. Now, it's time to take it to the next level because we're not even close to the national average. The name of the game, this year, is assessment design, frequent practice, and targeting skills based on last year's results and this year's needs. My PLC partner and I met this past summer to review student work samples released by College Board. We looked at the student work to determine what a 7 out of 9 looks like, what a 5 out of 9 looks like, and so on. (1) We came to the conclusion that our students needed regular practice writing thesis statements according to the CCOT and comparative essay requirements. (2) We also concluded that requiring specific examples to support explanations must become a routine in our classrooms. Some of you might be wondering what a CCOT essay is. Don't worry about it. I won't even tell my students what it is until they've been practicing the essential elements for a while under more conversational labels. My solution to the anxiety some students have to navigate when they hear "thesis statement," is the one-sentence summary. The students take a lot of notes, whether it's from reading activities, discussions, image analysis, or the occasional lecture, so they need a summarization piece that brings together their note-taking while practicing writing better sentences. It's also import that the summaries can be shared out regularly and more publicly. The answer was The Wall. The tack wall in the back of the room has been converted into our color-coded, one-sentence summary space. So far, students have been required to summarize their notes in response to a question based on the curriculum framework. We use red paper for political issues, blue for social, and green for economic. The Wall is my main formative assessment piece. It's designed to allow for many levels of knowledge demonstration. It has allowed us to merge a simple classroom routine with a critical formative assessment. The first assessment expectation was to write complete sentences with specific examples to support main points. This was preceded by activities that practiced analyzing for context and point of view. Students are then asked to mark a few posts with a plus sign if they're okay with it or a delta sign if they think it needs to be changed. This helps guide our discussion about where the class is in terms of meeting the expectations. they're good at writing them. This assessment is for feedback, only. To provide this feedback to students as quickly as possible, I take pictures of a sample of the posts that represent a range of achievement and write commentary under each picture on our classroom activity blog, whiteboardhistory.blogspot.com. Since the wall posts are anonymous, the students are encouraged to read all of them and the feedback to further focus understanding of the expectations. The next step is to have them comment on the strengths and weaknesses, provide examples to substantiate the statements, or find themes to organize the evidence they've collected. The key is to build the skills one piece at a time, brick by brick, as our athletic department says. It's also important to leave out unfamiliar jargon. They don't need confusing labels to learn how to do things. Once their confidence and proficiency levels are high, I will teach them the labels, which will probably fix any thesis-statement baggage they bring to class. We will probably only write about three essays all year. That's one more than last year. I know that this might sound counter intuitive, but I am tired of doing the same thing with minimal results. Plus, I don't subscribe to the belief that we prepare students for college by throwing college-sized workloads at them. If you don't buy any of this, check out what the kids say about AP World History classes on Twitter #apworldhistory or #apworld. You can see the progression with some from complaining and stressing about workload to giving up and just wanting to get through the test to say it's done, not really caring much about the results. Is that really the culture we want to nurture in our academic programs? Thanks for reading. Please leave comments, suggestions, disagreements, and, most importantly, stories. I've watched this video about 20 times in the past year or two. It's always going to be funny to me because when you get the message behind the exaggeration it's something we've already seen. I thought that a list of rules based on Mr. D's approach would be a fun way to share my perspective on marking papers and assessment design. 1. Bill: "There goes your weekend, eh, markin'?" Mr. D: "Not really." Trim the fat. Tests and quizzes that attempt to assess too much can wear out both teachers and students. Try to focus on one standard at a time. Try scaffolding the writing expectations throughout the year by looking closely at sentences for a couple months before looking at paragraph structure. Also, think about grouping standards into one learning target based on skills or background knowledge. 2. "These are essay questions. If I were to read these, it would take forever. So, I don't." If students are not writing the stuff you're looking for, skip it. It sends two messages. (1) Don't waste time filling the page to gain a shot of dopamine from the appearance of completion. (2) We only have time for relevant work, and here it is. Mark the successes and have students rewrite the parts that didn't get marks so that all of their writing meets the level of the expectation. Try a feedback model like SE2R by Mark Barnes. 3. "Sometimes their answers are better." Leave students room to demonstrate what they know and can do. Write open questions that are more thematic and conceptual, allowing students to draw from a body of information with which they can more confidently show mastery. 4. "That way, I don't have to give her a 100." Grades create enough anxiety. Inaccurate grades are just destructive. 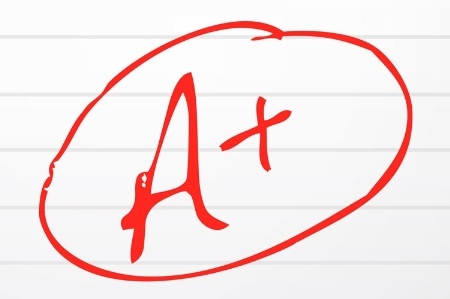 Using scoring scales and rubrics can help ensure "A" students are really the top of the class. 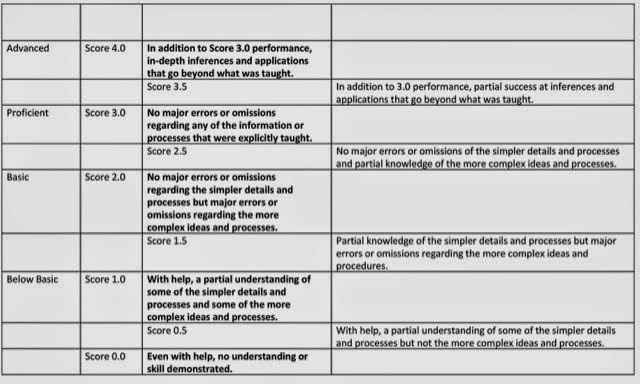 This is not to say that you should design an assessment or scale that makes a perfect score unattainable. My scoring scales usually require students to exceed the expectation in order to receive more than a 90. I ask myself if the student went beyond the call of the task and cheer for them to produce great work. It happens, a lot. 5. "You just put marks on it." If you put marks on the paper and write the score at the top, that's all the students will ever care about. When teachers do this, research has suggested that there is a zero percent achievement gain associated with writing scores on papers. In fact, according to this same research, the only achievement gain is 30 percent when comments are provided without a score. When both comments and the score are present, the achievement gain goes back to zero. So choose either score or comments. You'll save time with this rule and a couple of the others. Thanks for reading. Please comment below on successes, troubles, agreements, disagreements, etc. Before he gives an assessment, the old sage grants his pupils hope for a fruitful learning experience. Maybe that's not exactly what he says, but whatever comes out that day, he communicates to his students the importance of keeping the learning process alive, always, and especially when taking a quiz. I was reminded of this story while making the following two card decks for professional development. I thought Quizlet would be a different way to discuss some of our new district, campus, and department initiatives. After studying the decks and practicing the games, try the quizzes by clicking the heading links. This a second post of my favorite literacy activities. Think beyond English language arts and social studies. Try some of these in math or science. Students write a list of words from memory that are related to a particular topic or problem. It's important to give students the opportunity to share their knowledge with others and add to their list based on what they learn from their peers. Then, students group the words according to concepts and themes. When it comes to labeling the categories, they should be interesting and not too broad or too narrow. I provide my students with a list of themes and challenge them to customize the label based on theme and the commonalities of the grouping. This is great to prepare students for thesis statement writing. This poem starts with a single-word topic, followed by five lines, each with specific criteria for the type word and amount. The fourth line is a summary of the topic. Write for 7 minutes, non-stop, to combine fact dumping and writing fluency. Underline pertinent details. Circle major ideas. Use one idea to write a one-sentence summary in response to the prompt that guided the stream of consciousness. Share with class on the board, sticky, notes in a basket, or, my favorite, on the tack board. Students make a bubble map with at least three levels of details. Start with a concept or topic in the middle, write three details, and three more details for each first level of details. The fun part is when students pass their paper in a rotation every 15 seconds, or so. They get to make something together and share ideas in a sort of game setting. Lastly, students write a poem with the implored bubble map. Using cartoons to learn about symbols, audience, and voice is fun for students, especially if it's used to change things up in a non-social studies class. Also, think of it as a conceptual excercise that can be applied to a text or more sunstantial piece. Math and science cartoons can be, as well. Thanks for reading. Write comments about ideas, variations, or stories. I like stories. Making time for games and fun practice activities are a great way to get kids up and moving and learning. As we use Google to find information in our daily lives, remember that developing memory skills are still essential to nurturing the youth. 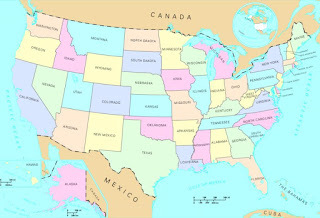 Order geographic locations in order from East to West. 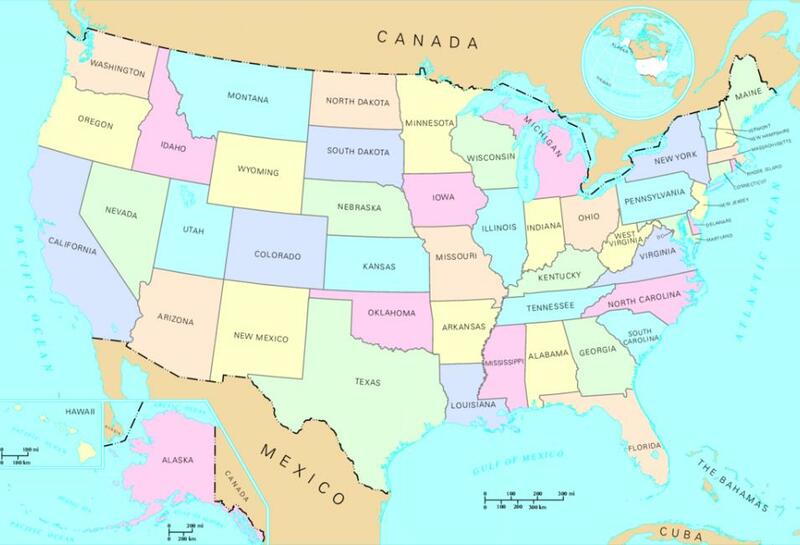 Students can get creative and move forward or back to establish relative North or South. Place events in chronological order. Make a cause-effect chain. This could also work for similarities and differences, especially if students have to work from a mid-point outward by placing the characteristics by theme (see below). Place leaders or governments on a continuum, like communism to capitalism. The first exercise is a warm up that works on general memory. Try not to underestimate the importance of warm ups like this one that do not contain specific lesson content. Knees-knees-clap-clap as a group of ten or so, each student is numbered, say 1-1-3-3 and so on until someone makes a mistake. The goal is to remember who is out and who is not while those who are out continue clapping as to not signal their status. Sit in a circle of five or seven and say a vocabulary term, make a current event analogy, and finish with a personal analogy.Provide five minutes to research before the game so everyone knows their term and analogies. Each student says theirs and the previous students' back to the first, who says all of them at the end. Students can help each other upon request. Fun way to practice creating analogies and repeated review. Students are given a theme and have to say one continuity and one change before reciting the continuities and changes of previous students, Groups of five work well. This can be followed up by a note-taking and summarizing activity (expected accuracy of three themes with one continuity and one change each). 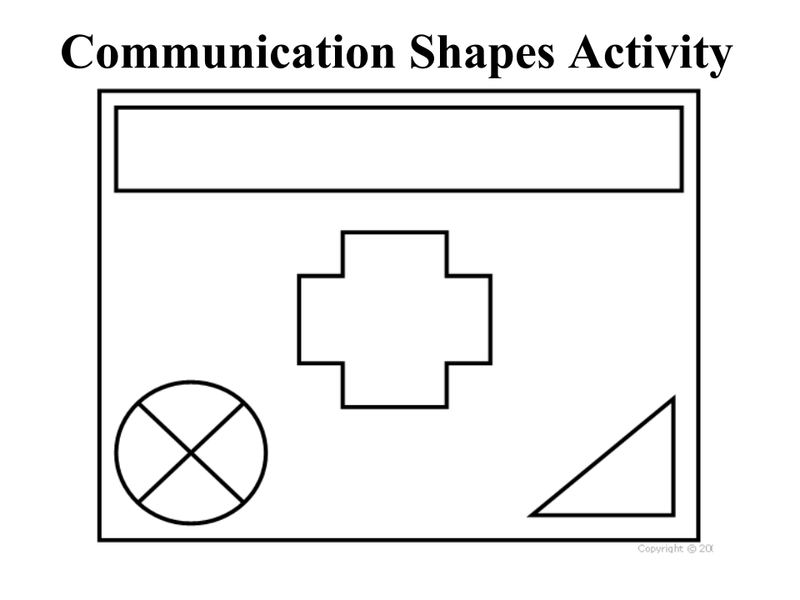 This activity addresses teamwork and clarity. Students have to be specific and accurate from one perspective and use clarifying statements from the other. Describe a painting or photo and student facing away has to make notes and ask clarifying statements. If you time the students, they can practice identifying important details quicker.But make sure they can do the activity well before you add a time limit. This sort of activity can be done as a vocabulary game with about five words, increasing in difficulty. The student facing the screen can use any words except the five in the screen to help the student facing away guess. Students have a theme and say a specific example. 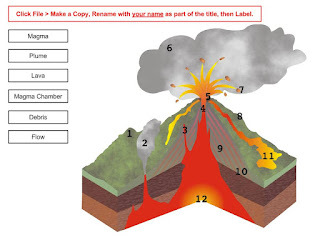 Another student thinks of an example that fits with both the previous theme and their own theme before coming up with a new example for the next student to make a connection. Groups of five work well. The first group to connect all five examples wins. If no connection is made, students need to start over. Each student needs to make a connection but they don't have to follow an order like clockwise, for example. 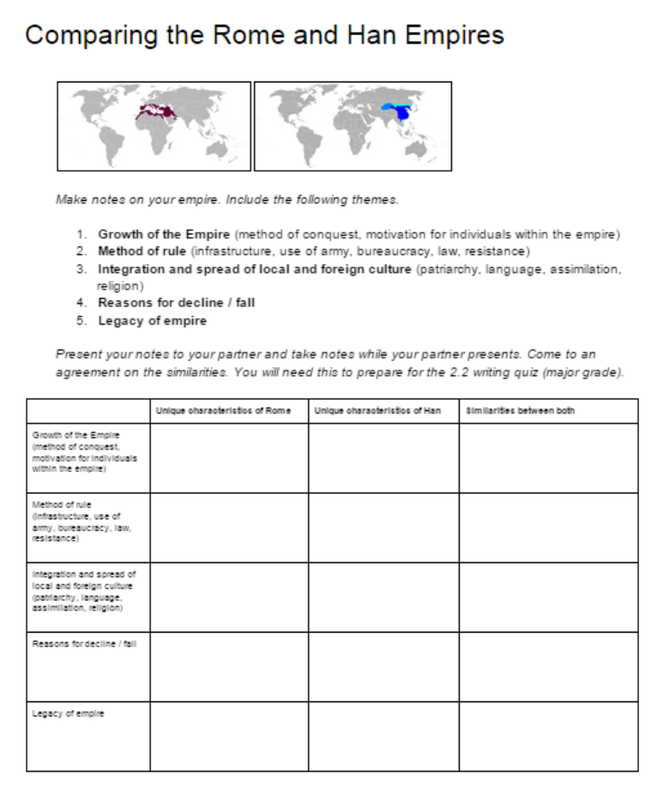 Give students an event, person, or concept to prepare a thirty-second story that includes five facts and the significance to a particular turning point or theme for the unit if study. Make two equal lines and have students face one another. This can be done with groups of ten, five in each line. After each student shares their 30-second story, the last person in one line rotates to the beginning and everyone shifts to meet a new partner before repeating the storytelling. The debrief is supposed to require students to be back in their seats while the "specialists" of each event, person, or concept stand together and contribute one detail at a time until a strong story is compiled. Seated students make notes, which will be easier after hearing the 30-second version. These are review and practice games that I don't hesitate to use during a lesson cycle as opposed to waiting to until the end. Please comment and add a description or link to your favorite game. Remind has become my favorite way to communicate with students and parents. It is many times more effective than posting on a social media wall or sending emails because it is no different than receiving a text message. 1. Send a message to a class or group of three or more students. You never need the students' phone numbers and yours stays anonymous, as well. As a classroom teacher, I value this feature because I may only get ten minutes once a week to put together a series of messages that will support students in their busy lives. 3. Insert a link or attachment. They like the links that I paste in because it means (for those with smart phones) that they are one or two clicks from content. Important messages sometimes receive extra attention through social media. If you have a classroom that already uses Twitter or Facebook, this option cuts out another step. Just touch the heart in the top right. You can also embed a feed of the messages on your website. The feed can be imported by link, so it is easy to put one on a Google Site. 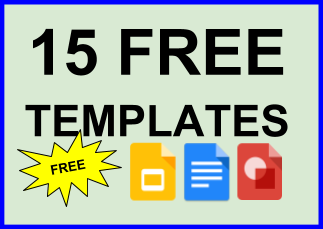 Click or touch below for slideshare. Teachers often wonder, "What is this teaching our students?" The opportunity to reassess "gives students something for nothing." Some teachers are worried that students will fail a test to find out what's on it, using the first attempt as a kind of review. I'm not one of those teachers. These same teachers are also concerned about the added work reassessment places on their part. Although I do not share these concerns anymore, they deserve attention. 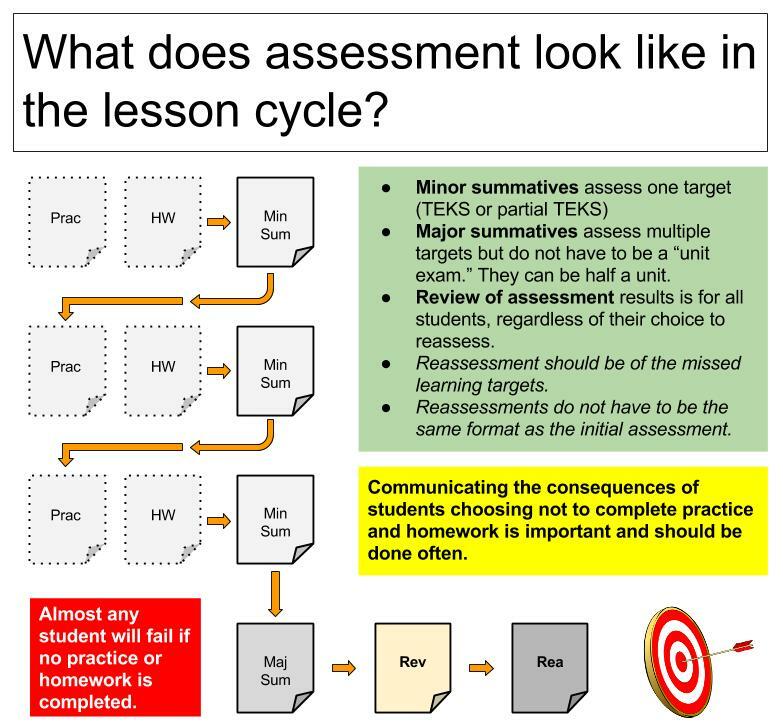 For the past two years, I've been developing an approach to conditional reassessment. It aims to ensure that students who choose not to do the work before a summative assessment must complete the work before reassessment. Likewise, students who chose not to do the work before an assessment, and are satisfied with their grade, are not penalized for the incomplete practice or homework. What does anyone have to gain by doing that? The safety net is the frequency of checks for understanding that precede summative assessments. Ideally, the checks for understanding consists of well-tracked formative assessments, but I sometimes use a series of short summatives that are recorded but not factored into the summary grade by default. 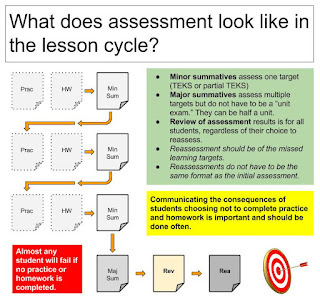 The decision to factor an assessment becomes a question of evidence. For that matter, I'm not concerned about whether the evidence comes from a unit exam or a short quiz. The only time I feel safe with regard to reporting grades is when the evidence tells me something about student achievement. Furthermore, the means through which the evidence was obtained should never damage a learner's confidence. Sure, kids will get their feelings hurt from time to time, like any of us, but it should not be to the extent that it gets in the way of educational goals. "Okay, how is this fair?" After two years of treating assessment this way, I have only worked with about three students who could achieve advanced mastery without completing the practice or homework. Further, I have never had a student go through my reassessment process more than three times in a year. That's about 7 percent of the total assessments. If you're really concerned about work habits and whether or not reassessment is fair to the student who did it well the first time, then look at it this way: the three-time re-assessee was still evaluated 93 percent of the time based on first attempts. If you determine summary grades on a 0-100 scale, this student's choices are still becoming of an "A" student. Statisticians understand that there's little to no observable difference between a 98 and a 90, given the relatively small evidence sample sizes we use to report grades. So what makes teachers the greater authority? "I'll tell you how it's fair!" All students get the opportunity to experience knowledge seeking over point chasing. That's what makes it fair. Letting students make lots of choices that place their education in their own hands requires frequent feedback, of various types, to support students throughout the learning process. Although this process is not full of successes in the traditional sense, it does, however, allow students to learn more about what they know and don't know, as well as how they learn new information and strengthen existing knowledge. Another question I get is, "What does this look like in your classroom?" The work flow shown here is a generic sketch of how evidence of understanding is handled in my classes (click or touch). The practice and homework are assessment for learning and rarely calculated in summary grades for reporting. However, numerical-based feedback as well as commentary are almost always provided and tracked. NOTE: (1) Choose either numerical or commentary forms of feedback, not both. Whenever numerical is used, students focus on the number. Commentary is the only type of feedback known to lead to achievement gains. (2) Review of student work and assessments is effective when it is student-led. Students can complete tracking sheets that show assessment items in relation to an achievement level of the standards. Students also complete a reassessment agreement. Providing this kind of practice helps students communicate more effectively with their parents, as well. The purpose of this approach to assessment is to provide students with the opportunity to become accountable for their education by providing safe choices. The strategy that keeps me sane throughout this process is called consequences with empathy (from Love and Logic). Click here for a quick sheet on empathetic responses. Thanks for reading. Please provide feedback and stories about successes and failures. And remember, ask yourself if the issue is about point chasing or knowledge seeking. TodaysMeet is one of the most powerful classroom discussion tools. Here are some suggestions. 1. Use TodaysMeet as a "parking lot" for questions that come up during the lesson. You've heard of the "ask-it basket," right? Well, it's this way to allow students to ask questions without interrupting class or to ask questions that are difficult to ask in front of everyone. It doesn't work in my class, never has. But TodaysMeet does work, which is probably attributable to the fact that students do not have to change their primacy platform for communicating. 2. Send links to all students in the classroom quickly. Although there are other ways to do this, using TodaysMeet to send links will keep discussion info in context with the learning materials. 3. Use guiding questions before students watch a video. Access to guiding questions can be made available before the learning activity to allow, for example, those students who feel more comfortable with a lesson preview before class can be at ease and ready to learn. What was most important in our discussion? A quick copy/paste into Wordle.com will visually represent the frequency of words. Try displaying the Wordle for a journal reflection activity after the lesson or at the beginning of the next class. Each transcript can be saved as a PDF, making it easy to assess participation for a three-week progress report. It's also strong evidence for parent conferences (positive or intervention). 6. Two or more classrooms engage in a conversation as they listen to the same content at the same time. With an inexhaustible amount of videos and podcasts available, students from different classes can listen to a live podcast and have a back channel discussion on TodaysMeet without interrupting. Since we all tune in and out, the back channel often better keeps their attention, while making the departures from listening relevant. 7. Before a science lab, students record their hypothesis. After lab, they respond about the conclusion. The teacher can project the hypothesis before and after the lab for discussion. Teachers have the transcript for assessment and students can access it for lab reports. This use also works for anticipation guides, thesis writing, and even math solution defense.